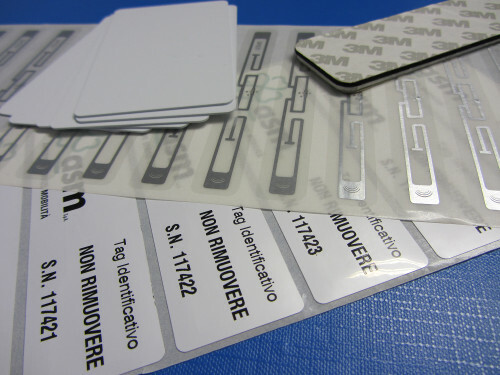 Generale Sistemi, through continuous scouting in foreign markets to supplement its own production, has a wide experience in the distribution of Labels and RFID supports. Constant monitoring of emerging markets, experience about the risks linked to different product classes, ability to negotiate notable volumes thanks to knowledge of production and distribution processes. All this, together with constant contacts with manufacturing partners globally, has allowed to consolidate over time the company's role, able to follow the tag provision and identification for disposable, consumable or still large applications. This knowledge allows our company to take responsibility not just on investigation of products that maximize the cost saving, but also provided with special characteristics (non-standard, certificates for specific applications, resistance features, etc...).